Why Didn't Berlioz Play the Piano? Thanks to Mr. Jack Wilds for the idea for this article! Unlike the majority of his contemporaries in the 19th century, Hector Berlioz was a successful composer without also being a pianist. His compositions and techniques were so unusual that several of his peers scoffed at the idea that he could even be successful in a professional capacity. Critics like Maurice Ravel apparently referred to Berlioz as a “musician of great genius and little talent” while Claude Debussy referred to him simply as “a monster.” But with all the pressure to conform, why didn’t Berlioz learn the piano? It was perhaps due to a combination of several factors including the war-time interruption of his early education, unsupportive parents, and a disinclination for the instrument. Born in 1803, Hector Berlioz was the son of a talented physician who personally provided an education to his children, since the war had destroyed or closed most schools in France (Britannica). Although Louis Berlioz did not condone music as a career, he did instruct his son in the basics of musical performance and allowed him to casually study flute and guitar from local musicians (Britannica). It was during this time period that Hector Berlioz found an affinity for arranging simple works for chamber ensembles (Britannica). Unfortunately, due to the revolutionary war (led by Napoleon) that had consumed most of France, and the near-isolation of the village (in the French Alps), it is unlikely that the Berlioz family would have had easy access to high quality piano teachers or instruments. 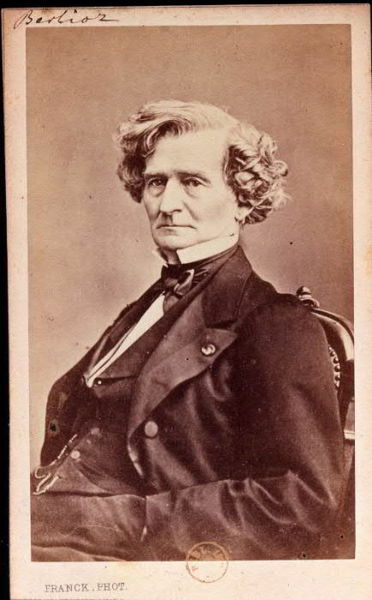 In 1821, at the age of eighteen, Berlioz was sent to Paris to study medicine but could not shake his deeply ingrained love for music and attended the Paris Opera whenever possible (Britannica). After spending only a few years on his scientific studies, Berlioz defied his parents and contacted Professor Jean-Francois Lesueur of the Paris Conservatoire about entering into the musical composition program in 1826. Because the French monarchy had been reestablished by this time, it is reasonable to assume that perhaps Berlioz considered the threat of war in Paris to be either ending or less pressing. Had this been the case, he might have been able to justify pursuing an enjoyable career rather than a necessary one. This impulsive decision jump-started Berlioz’s musical career but would ultimately cost him his good relationship with his parents. Because of his late start to the composing world, and after having caused such an enormous amount of damage to his family connections, it is reasonable to assume that Berlioz desired to prove himself with an immediate success and did not place much importance on learning the piano (a tedious process which requires several years). One realizes this was a logical omission for Berlioz to make to his musical skill-set since there were a number of talented pianists, like Liszt or Mendelssohn, already in possession of the majority of paying piano positions across Europe; Berlioz would not have been able to challenge their technique at that late point in his career. It is also entirely possible that Berlioz was simply uninterested in learning the instrument or believed it to be unnecessary. Since the rise of Beethoven, the basic principles of the Romantic movement had included the idea that “music was a direct outpouring of a composer’s personality” and therefore did not have to conform to any single standard (New World Encyclopedia). In 1830, the gamble paid off when Berlioz was awarded the Prix de Rome, a prestigious musical honor, that required him to spend three years abroad (Barzun). This was both an exciting opportunity but also a hindrance since Berlioz was yanked away from the musical scene in Paris before completely finding his footing. During this period of travels (mostly through Italy), Berlioz spent most of his time befriending other composers (like Mikhail Glinka) and exploring mountainous countryside with his guitar strapped to his back (Barzun). Regardless of the abundance or dearth of working pianos in these regions, this would certainly not have been a convenient time for Berlioz to pause his nomadic lifestyle and begin studying a new instrument. Despite not being able to perform on the piano, Berlioz held in great esteem composers like Beethoven, Gluck, and Weber and believed that “music must first and foremost be dramatically expressive” (Barzun). After only eighteen months of traveling, he forfeited the remainder of his prize and returned home to France (Barzun). What came next was a tsunami of compositions as Berlioz grasped at any advantage which might make him relevant. Over the next eight years, he dabbled in almost every genre and completed one opera, one symphony, two ballets, a Requiem Mass, and more than ten choral works. Unfortunately for Berlioz, the unusual characteristics of his work and the fact that he was not widely liked in the music community, meant that these efforts ultimately culminated in a very public failure with the poorly-attended premiere of his opera, Benvenuto Cellini in 1838 (Barzun). If the composer had ever considered taking the time to learn proper piano technique before, this humiliation certainly would have deterred any further venturing into the spotlight; instead, Berlioz went back on tour. For the remaining thirty years of his life, Berlioz continued to compose dramatic works, made several contributions to orchestral conducting techniques, and served as a music critic for the Journal des Débats in Paris. In 1844, Berlioz published his Traite d’instrumentation et d’orchestration modernes, a resource which is still in use by contemporary composers. Despite the unpopularity of his works during his lifetime, Berlioz was eventually hailed as a trailblazer by 20th century scholars who praised his efforts to reshape orchestral music and redefine what it meant to be a successful composer. Barzun, Jacques. (2018) Hector Berlioz. Encyclopaedia Britannica, Inc. Web. 8 April, 2018. Editors. (2018). Discovering Hector Berlioz. Classic FM International Radio. Web. 8 April, 2018. Corleonis, Adrian. (2018). Hector Berlioz. All Music. Rhythm One. Web. 8 April, 2018. Editors. (2018). Berlioz in Paris. The Hector Berlioz Website. Web. 8 April, 2018.